There are many kinds of Texel sheep, including Dutch, English, and French. 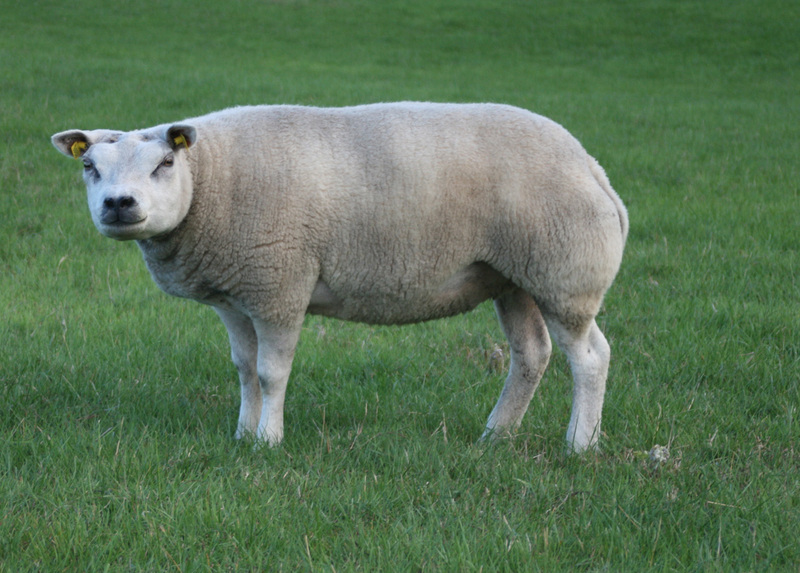 The English Texel sheep tend to be taller animals while the Dutch Texel sheep have very short legs and heavy muscling. All of the Texel sheep will carry one thing in common: Remarkable Muscle Development and Leanness! The Texel originated on the Isle of Texel off the coast of The Netherlands early in the nineteenth century. The original Old Texel was probably a short-tailed variety of sheep. Limited importations of Lincoln and Leicester Longwool were crossed with this stock during the mid-1800’s. The characteristics of the breed were established early on through a series of local showing competitions on the island. The emphasis was on a sheep that would produce heavily muscled lambs of superior eating quality. Since the primary market for these lambs was Continental Europe where excess fat on meat cuts has always been unpopular, significant effort was also made to produce a sheep that had a low propensity for fat deposition. The first Texels in the United States were imported by the Meat Animal Research Center at Clay Center, NE in 1985. After a five-year quarantine, some were released for purchase by private individuals in 1990 and subsequent years. Private importations have since been made by a handful of breeders in the United States. The Texel breed today is a white-faced breed with no wool on the head or legs. The breed is characterized by a distinctive short, wide face with a black nose and widely placed, short ears with a nearly horizontal carriage. These sheep also have black hooves. The wool is of medium grade (46’s-56’s) with no black fibers. Mature animals shear fleece weights of 3.5-5.5 kg. The most outstanding feature of the Texel breed, however, is its remarkable muscle development and leanness. Research results from Clay Center and the University of Wisconsin indicate that Texel-sired lambs typically have a 6-10% advantage in loin-eye area when compared to American black-face-sired lambs. 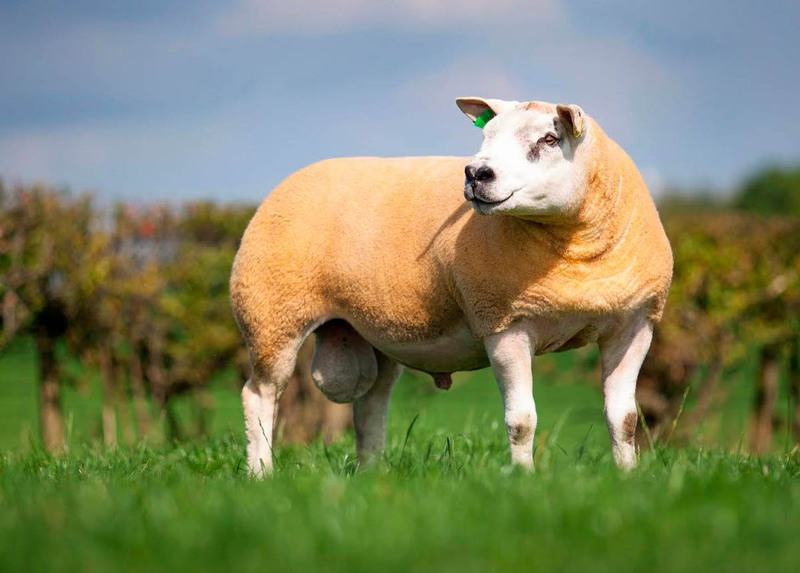 (In fact, many Texel breeders routinely scan loin-eyes as a selection tool and are finding 4+ square inches to be quite common with 5 square inch eyes appearing fairly often.) Texel-sired lambs also show an advantage of one full leg score in these comparisons and less total carcass fat—especially seam fat. This is significant in that seam fat is much harder to trim manually during fabrication than are subcutaneous and internal fat deposits. Curiously, even though Texel lambs in these trials grew slightly slower than the black-faced lambs, their feed efficiency was better. In a trial comparing Texel ram lambs to black-faced ram lambs, the Texels required about 15# less feed to produce 60# of gain. 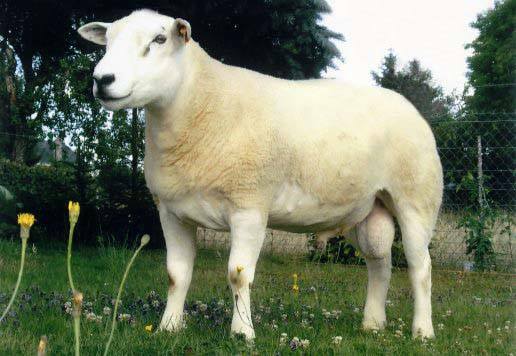 The Texel has become the dominant terminal-sire breed in Europe. It is currently nearly equal to the Suffolk in market-share in the United Kingdom and gaining fast. The breed is also gaining in popularity in Australia and New Zealand as their production systems have shifted away from primary emphasis on wool to greater emphasis on lamb meat production. 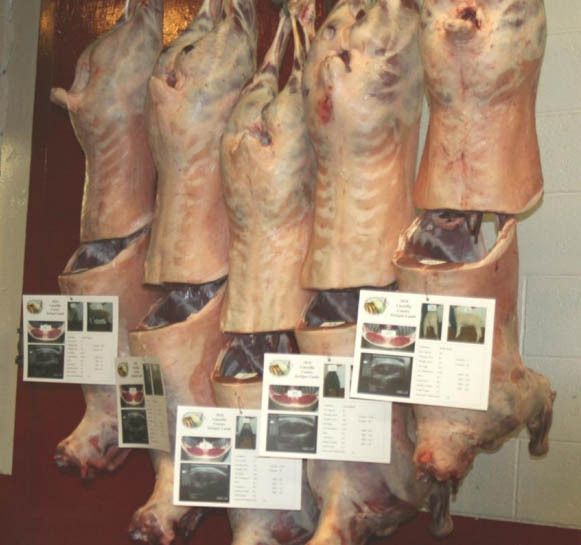 The breed clearly offers an opportunity for the North American sheep industry to improve the carcass merit of its product as well. Texel sheep have excellent temperaments. They are docile, easy to work around, and have a curious nature. They tend not to be easily excitable or nervous. Due to the good milk yield of Texel ewes and the breeds abilities for fast growth, lambs can gain an average of 250 grams per day. At weaning (12 weeks) the average weight of the lambs is 25 kg and their final weight at slaughter (24 weeks) is 44 kg on average. Texels are medium sized sheep with ewes weighing 150 - 200 pounds. They are easy keeping, easy fleshing animals that thrive on grass. The length of the breeding season of mature Texel ewes is nearly 5 months. The Texel ewes comes in heat for the first time at about 7 months of age. Of importance is the total annual lamb production of the ewe, a combined effect of prolificacy and lambing frequency. Selection for litter size has resulted in a high rate of lamb production. The average litter size has resulted in a high rate of lamb production. Texel ewes are excellent mothers and provide a high yield of milk for their lambs.